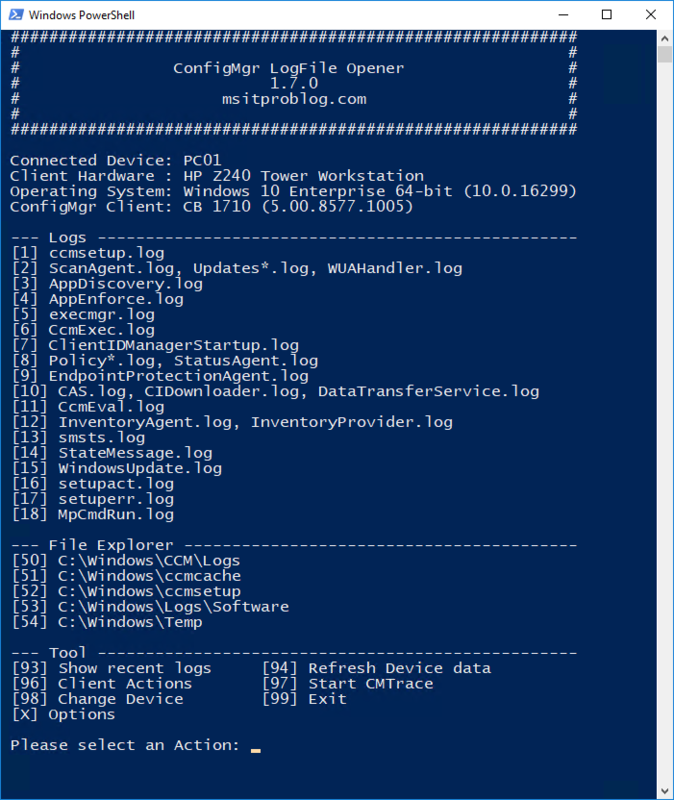 Version 1.7.0 of ConfigMgr LogFile Opener has been made available. This Release comes with a few new features and some small bug fixes. Built-in update Notification, which will inform you about future releases. This can be disabled by using the new ‘-DisableUpdater” Parameter. A Client running the 1710 ConfigMgr Client version is now identified correctly. Fixed logic error in File Explorer actions.